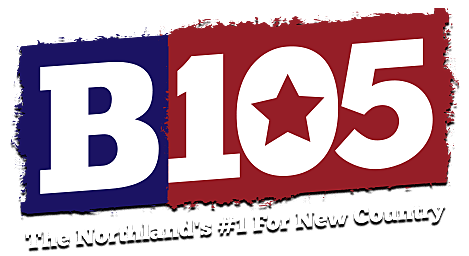 B105 will host a 2-hour party on Thursday, December 13 at the Barkers Island Inn in Superior, Wisconsin. Listeners must listen win their way into the party by listening for a special ‘cue-to-call’ that will air 3-6x per weekday, between 6am – 6pm. Winning callers will win two tickets to the party, where appetizer style snacks will be provided. Winners and their guests each be given a ticket good for a complimentary beverage. *Only B105 listeners who won tickets into the part will be eligible for to win the $500 and charter trip prizes. Both listeners and guests are eligible to win other prizes at the party. *GRAND PRIZE CHARTER TRIP: The Duluth International Airport is offering a round trip charter trip to Nashville, Tennessee. Winner and guest will win their way on this trip, following the itinerary as set by the Duluth International Airport. The trip is scheduled for May 17-May 20, 2019. Grand prize trip is only valid for this specific charter trip on those specific dates, no alternate trip or prize is available. If the Duluth International Airport moves the dates of the trip, contest winner and guest must adhere to change of date or forfeit trip with no alternate prize offered. If the Duluth International airport is forced to completely cancel the charter trip for any reason, with no alternate dates offered, winner will be given $1,000 cash prize. Otherwise, under no other circumstances can cash or other prize be offered in place of the aforementioned charter trip to Nashville, TN. This grand prize has no cash value. Trip is nontransferable unless approved by Duluth International Airport within their charter trip guidelines.